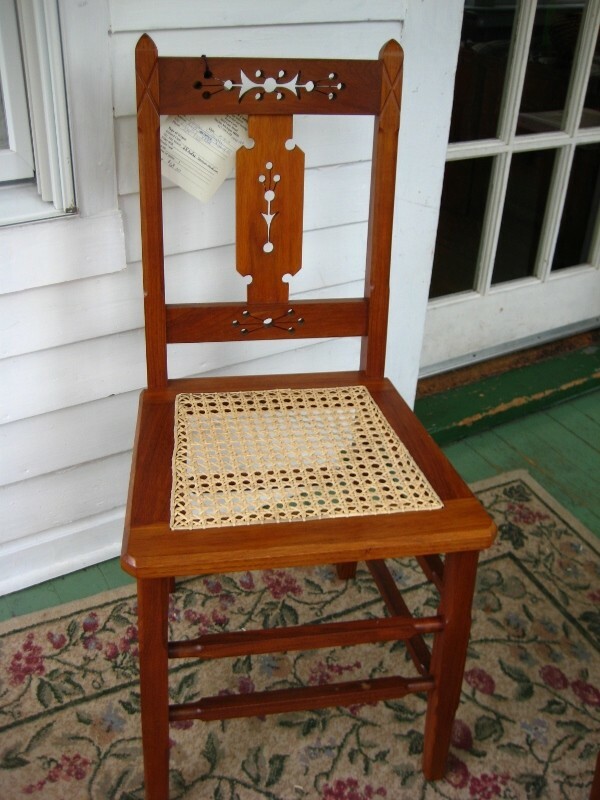 Back Porch Caning is a cottage industry specializing in chair seat weaving, located in Haslett, Michigan near Lansing with over 30 years experience in restoring woven chair seats. I replace most seat patterns and weaves including hard to find specialty weaves, using original type of material and design. I offer six-way hole cane, sheet or pressed cane, fiber rush, natural rush, and wheat wrapped rush, Danish cord and Danish binder seats, porch weaves such as binder cane and reed in basket weave, or herringbone, seagrass, and Shaker tape.